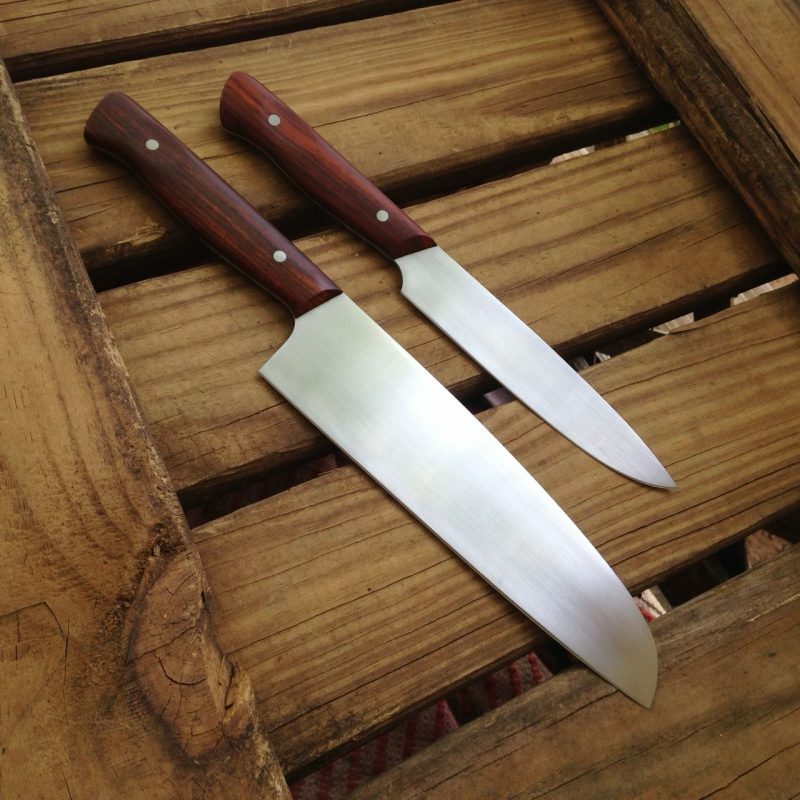 I have been making a few kitchen knives over the last months. 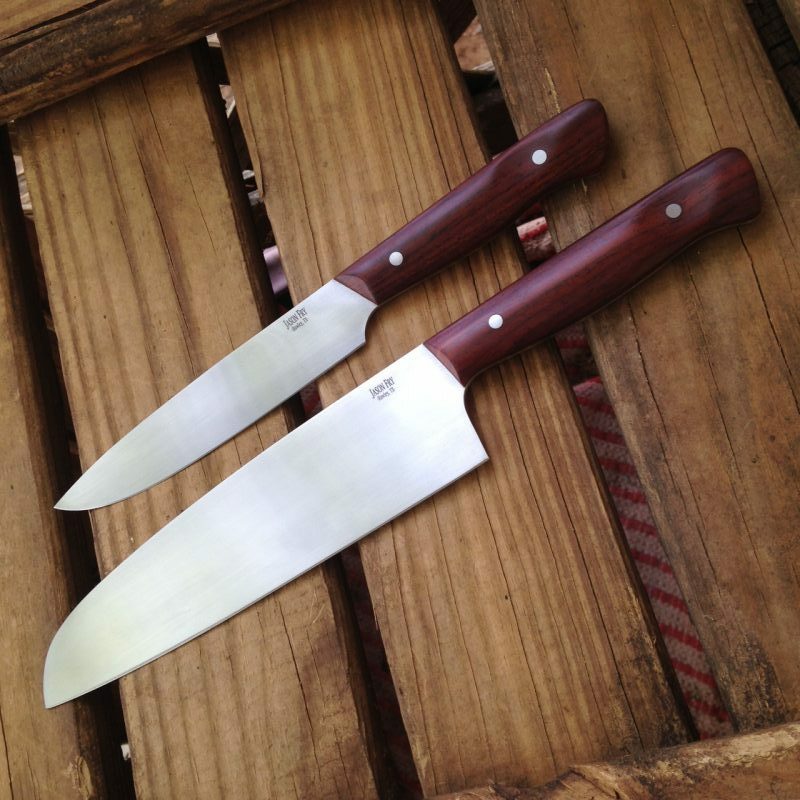 Most are built on 3/32 stock, either AEBL or 154CM, although paring knives may be built on 1/16 stock. 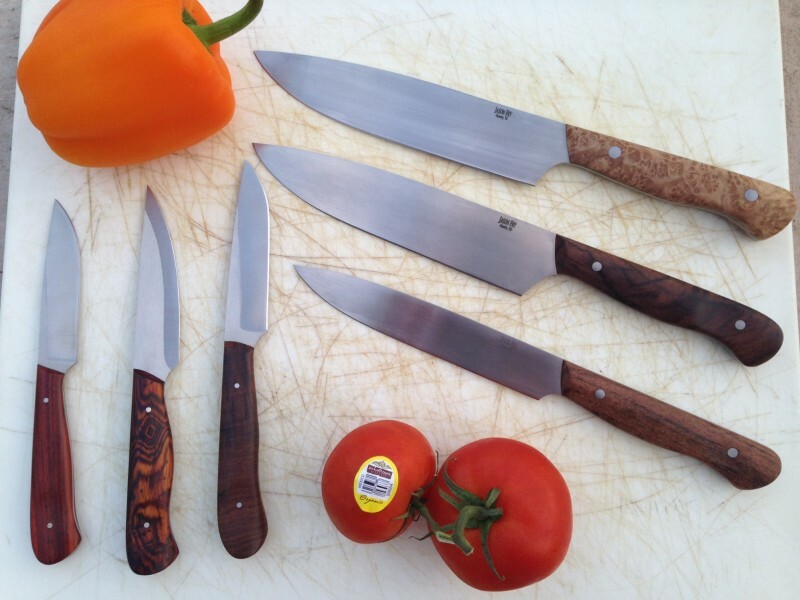 Designs include a Western Chef, a Santoku, a Petty, and paring blades. 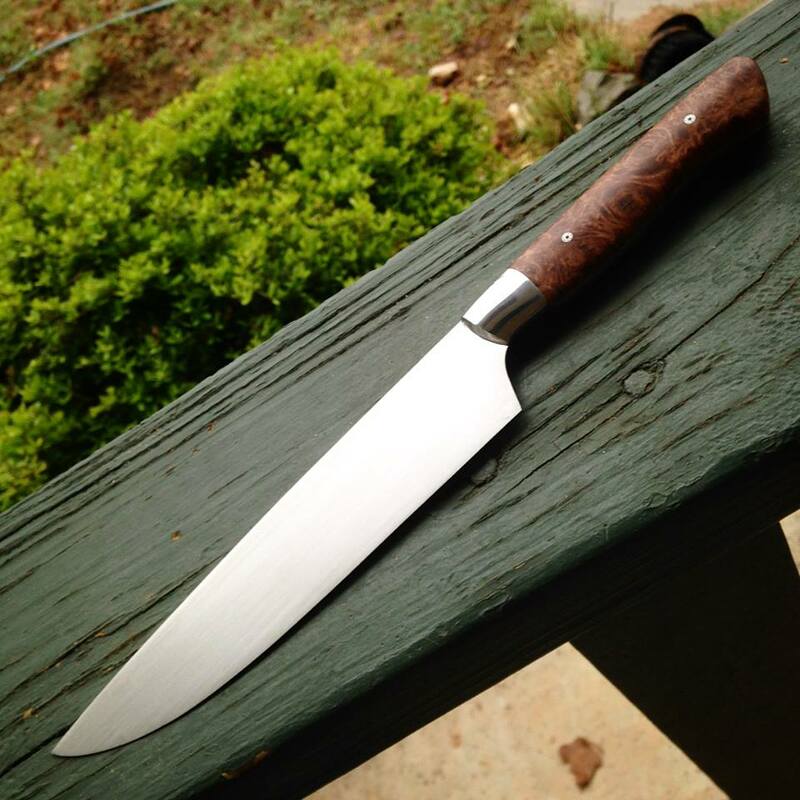 I occasionally add bolsters as well. 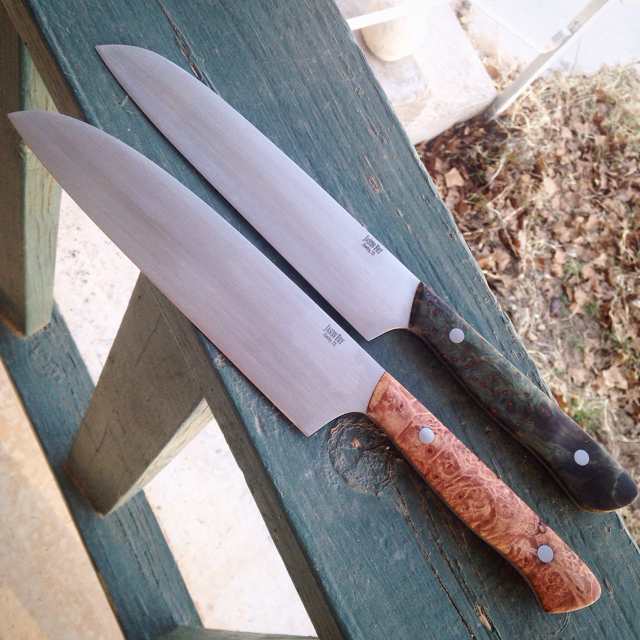 Contact me via email for pricing or to be added to the mailing list for when knives are available.